Inside these pages author Amy Edge reveals the lessons she’s learned during her 26 years as a successful business owner and consultant. Edge knows that businesses live and die by their ability to connect with their stakeholders. 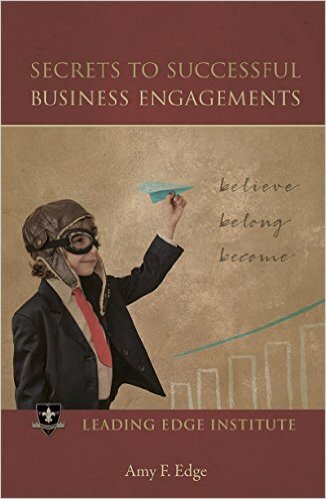 As founder of Leading Edge Institute, a business reshaping company, Edge helps her clients implement the three components that are essential to that connectivity: believe, belong, and become. · Do your stakeholders believe in your corporate mission, vision, and values? · Do your stakeholders feel they are part of a team and working toward a common goal? · Do your stakeholders feel they will become more tomorrow than they are today because of their association with your organization? If your answer is “no” to any of these questions, this guidebook is for you.